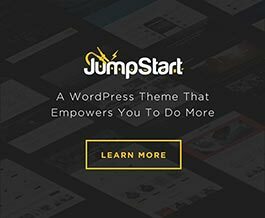 In this article, we’ll reference three functions for adding, removing, and editing theme options. This function allows you to add a single option to an existing section. (string) (required) ID of tab option will belong to. (string) (required) ID of section option will belong to. (string) (required) ID of the option to be added. In the first example, we’ll add simple text field option to Layout > Footer. Instead of a text field, let’s do a text area, by changing the ‘type’ of our option array. And now, let’s add something more complicated like a select box to Layout > Footer. This function allows you to remove a single option. (string) (required) ID of tab where option is located. (string) (required) ID of section where option is located. (string) (required) ID of option to be removed. 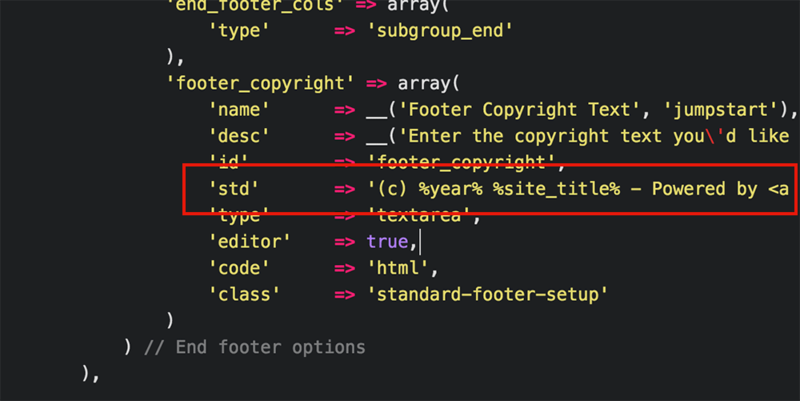 Let’s say you want to remove the option with ID “footer_copyright” located at Layout > Footer. This function will allow you to edit part of an option that’s already been setup. (string) (required) The ID of the tab the option belongs to. (string) (required) The ID of the section the option belongs to. (string) (required) The ID of the option being changed. (string) (required) The array key to the attribute being changed of the option. (string) (required) The new value of the attribute being changed. When your client is setting up their theme options page for the first time, maybe you want it to say something custom for the copyright text, by default. So, let’s change the default value for the option at Layout > Footer > Footer Copyright Text. Remembering back to the article, Finding Default Option Attributes, we can determine the ID of the option, and the section and tab it belongs to. From the article, Formatting Options, we know that the std key is where the default value is set with the option array. So, that’s what we’ll be passing in for the $att parameter.